When implemented properly, Unified Communications can transform your most critical metrics: reducing costs and increasing productivity, quality, and accountability. Independent, verifiable documentation of your organization's workflows and infrastructure is the first, best step you can take toward project success. 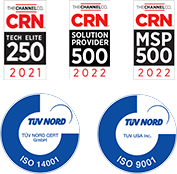 This assessment provides an overall picture of the network's capability to handle real time communications (e.g., voice and video traffic) as well as a detailed inventory of network elements. 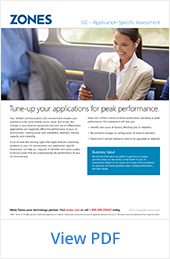 Identify and recommend LAN/WAN changes to improve latency, jitter, and packet loss. 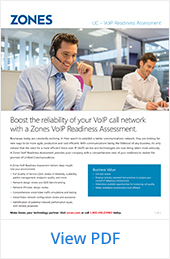 This assessment will identify and solve quality of service (QoS) or reliability issues in your UC-related environment. 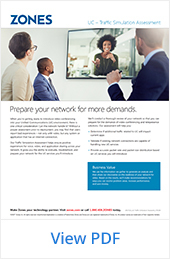 This assessment is designed to validate that your network will provide appropriate service levels for the UC services that you plan to introduce.